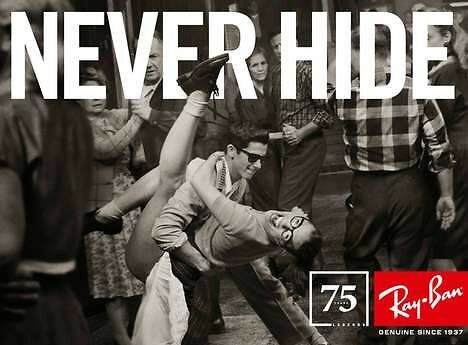 In celebration of it's 75th anniversary Ray Ban created a new ad campaign called "Legends Never Hide." 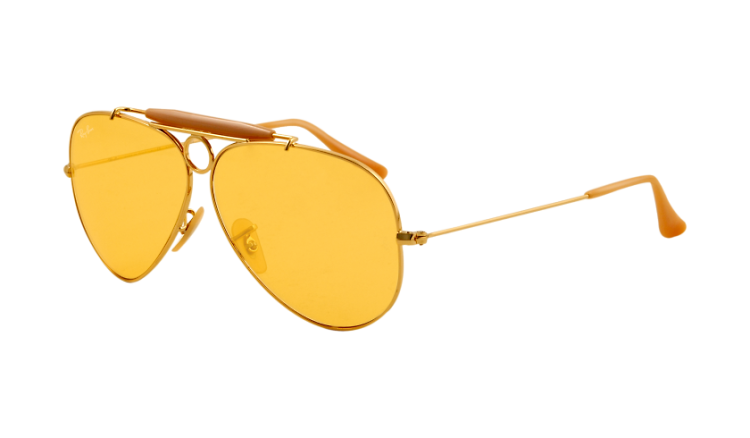 The idea behind this campaign is to celebrate real customers who sport the iconic sunglasses, and to retell their stories. 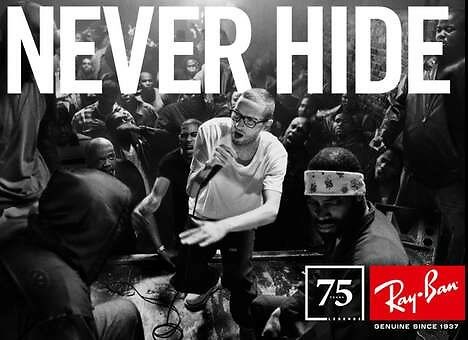 The clever crew at Ray Ban installed a microsite within their website that gives everyone the opportunity to share their story. 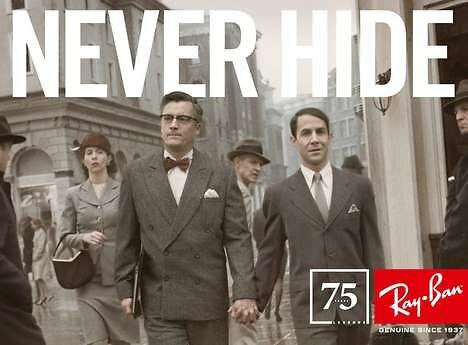 The microsite consists of an interactive timeline across the bottom that allows users to relive past times with nostalgic images spanning the past 75 years. Check out 3 of the stories below! "Rubai il mio primo paio di Wayfarer a mia zia all'eta' di 10 anni non consapevole della loro leggenda..pochi anni dopo fui scoperto e comprai il mio primo paio di Folding-Wayfarer che mi accompagnano da 10 anni anche qui in Cina"
Translation: I stole my first pair of Wayfarer's from my aunt when i was 10 years old without being aware of their legend. 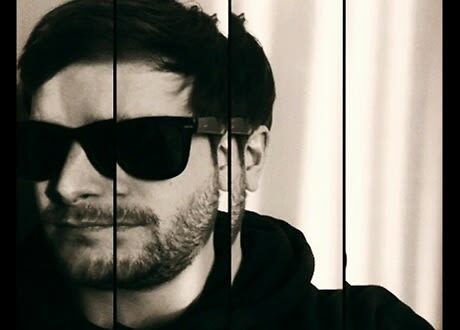 A few years later i discovered and bought my first pair of folding Wayfarers which, accompanied me for 10 years here in China.
" 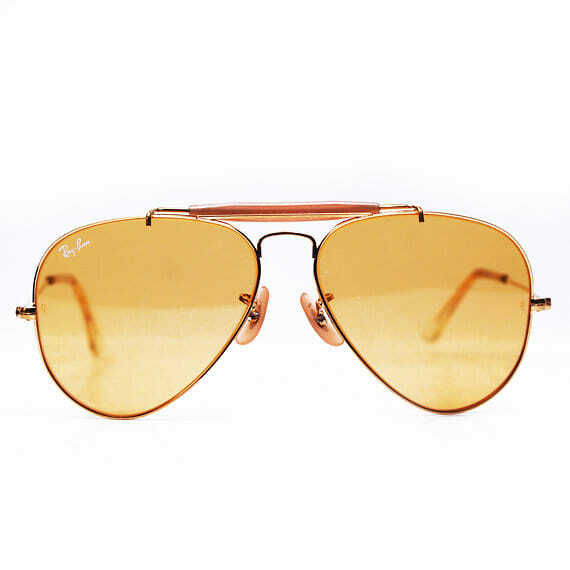 Cette magnifique paire de Ray Ban que j'ai eu gratuitement grâce à ma petite amie, et dont j'ai profité durant tout l'été avec mes 4 meilleurs amis. 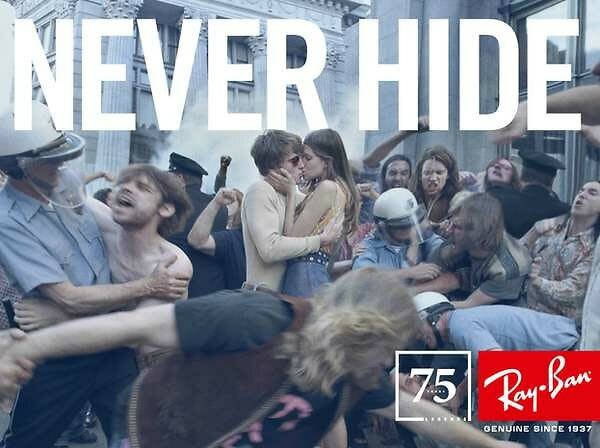 Surement le meilleur été de toute ma vie, et ma première vrai cuite...en Ray Ban, meme si il faisait nui!! " Translation: "This is my magnificent pair of Ray Bans that i got for free from my girlfriend, and i've enjoyed them the entire summer with my 4 best friends. 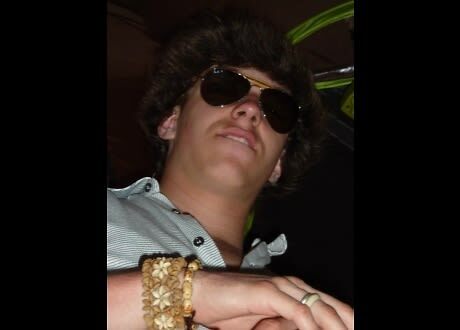 This is probably the best summer of my life, i had my first real hangover, in Ray Bans, even though it hurt. " 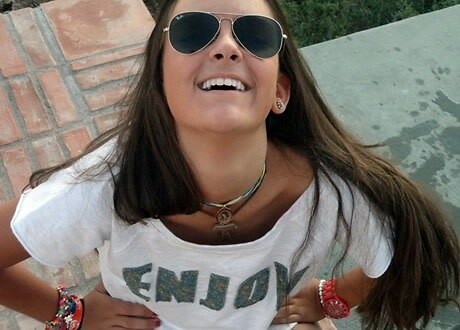 "Mirar para arriba y sonreír al pensar que los mejores momentos ocurren al olvidarte de todo y que no te importe en absoluto lo que vayan a pensar de ti. Esos momentos son para mí verdaderos momentos Never Hide." Translation: "Look up and smile at the thought that the best moments happen so you forget everything, and you do not mind at all what anyone thinks of you. Those moments are for me true moments. 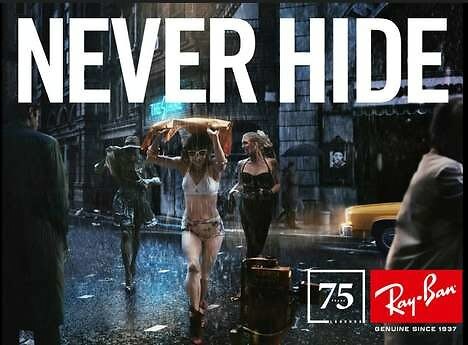 Never Hide"
In addition to the microsite, Ray Ban released a limited edition collection of their iconic Aviator sunglasses, originally launched in 1937. The collection consists of their 4 famous models, as well as 2 new ones; The Shooter and The Outdoorsman. To purchase a pair go HERE!